I am frequently asked why I went to federal prison. I am going to share why in this video, in part, because if you’re involved in the criminal justice system (at any stage) it is critically important to tell your story correctly. When I am working with new clients, or when potential clients reach out to me, I always start by asking them to tell me their story. So what makes a great and compelling story? Experience teaches me owning the story requires levels of vulnerability, openness and honesty that for some can be uncomfortable. At least it was for me when I began. I began working with a new client this week. He is a former broker, like me. 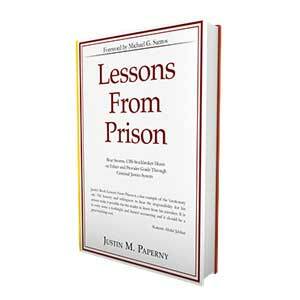 He had read Lessons From Prison, but he asked if I would share my story, from start to finish. He thought that hearing it would help him come to terms with the choices he made. I agreed. Frankly, his request was reasonable. After all if I ask others to tell me their story I in turn should offer the same courtesy. If you have interest in better telling your story, while also learning how and why I ended up in federal prison, the following video might interest you. 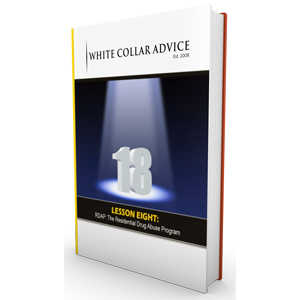 Etika LLC, together with WhiteCollarAdvice.com, provides coaching programs, and products, including our Reputation Management Course, Blueprint Training Program and Sentencing Calculator to those facing struggles with the criminal justice system.